The long standing tradition of a bank barn begins hundreds of years ago and were used by farmers to shelter their cattle over the winter. Having a second floor easily accessible by a raised bank made both floors highly useful. 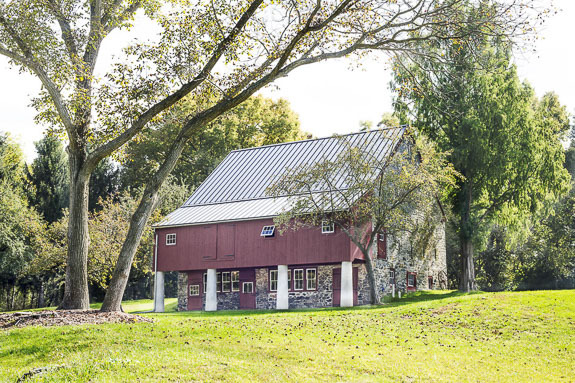 Often the second floor was used for hay storage, with the bank barn design, wagons could enter the loft directly which made unloading hay easier. 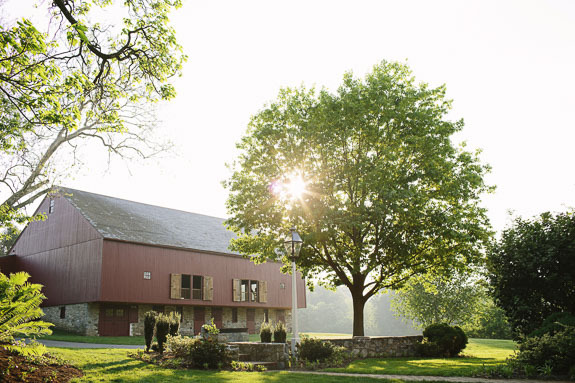 The beauty and tradition of a bank barn and the charm it adds to any landscape is unequaled. 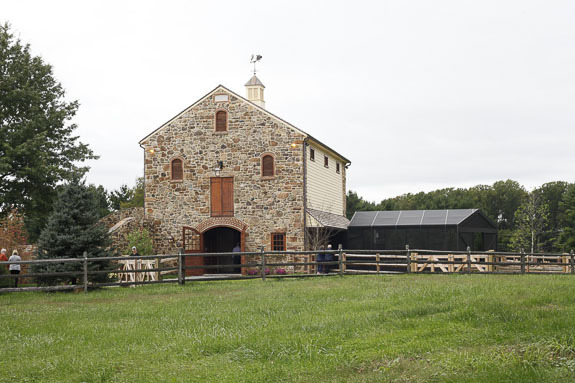 We have built many bank barns through the years and would love to take you through the options and incorporate your ideas to make it perfect for you. 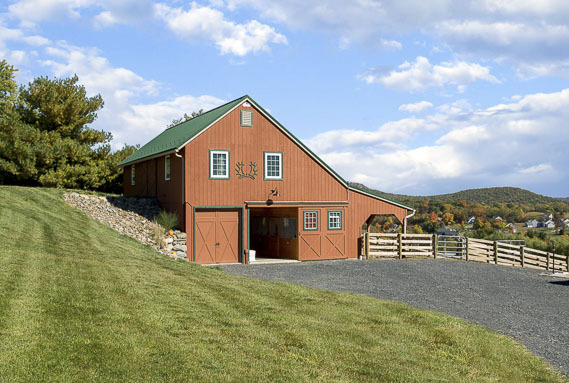 Browse the gallery of bank barns, then give us a call, we would love to discuss your project! 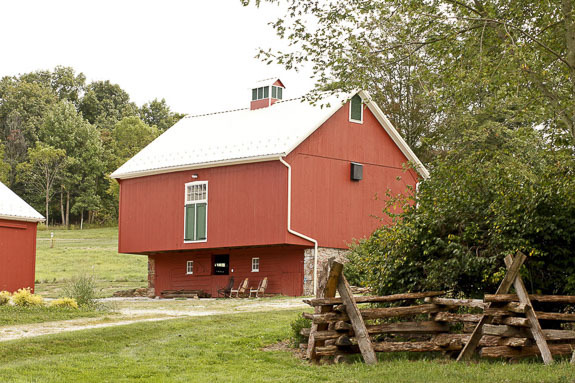 Passersby keep telling us they believe our NEW barn is original to our historic house. If we didn’t know that White Horse Construction built it last year, we would believe it too. 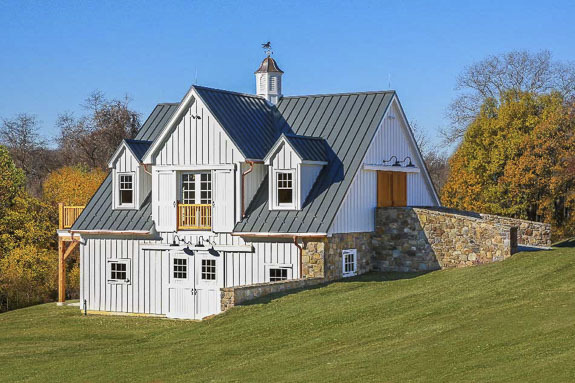 White Horse Construction’s craftsmen understood our goal to mix the antique and the new, and made it their own. We did not know how to make our ideas a reality, but Simeon Stoltzfus guided the planning and construction and was meticulous in keeping all the details moving forward. 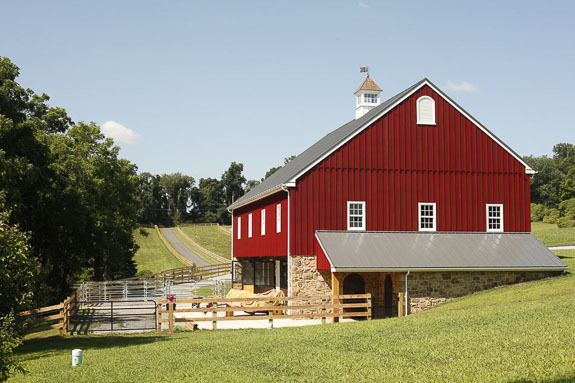 We as a team are proud to have created a barn worthy of the fine tradition of Pennsylvania barns.